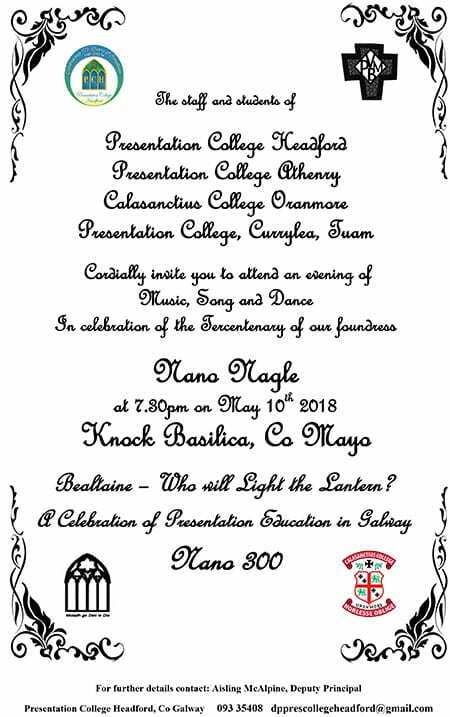 Presentation College, Headford is a voluntary Catholic, secondary school which opens its doors to all. We seek to promote a caring and committed school community where learning is nurtured, where gifts are recognised and the dignity of each person is valued. A compassionate and just society inspired by the life and teachings of Jesus Christ.